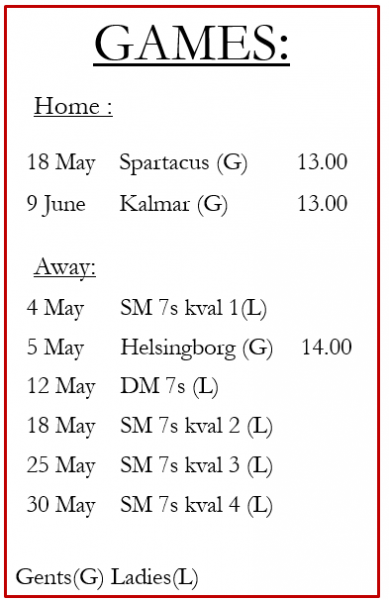 Following the four SM qualifiers, the teams that will be making their way to Norrköping this summer for SM Week have been confirmed, and our ladies team are amongst them. Having collected 48 points in the qualifying process and finishing third in the region’s qualifier, we join the seven other qualifiers from the three qualifying regions. 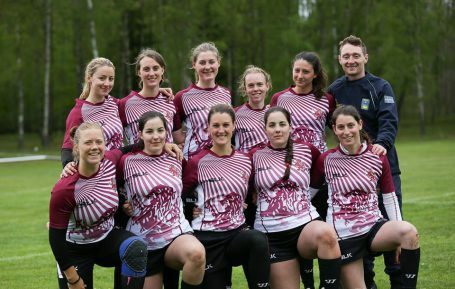 The ladies have been seeded in group B where they will face Northern group winners Stockholm Exiles, West second place finishers Vänersborg and our old rivals from the south Malmö RC, who finished just above us in second place in the southern qualifier. Having missed out on SM Week last year, the girls should be rightfully road of their achievement in a tough group and will need to step up their game again to try and place at the top of the final standings. This entry was posted in News, Women's Team and tagged Lugi, lund, rugby, SM, SM veckan, wrugby on June 6, 2016 by Ross.